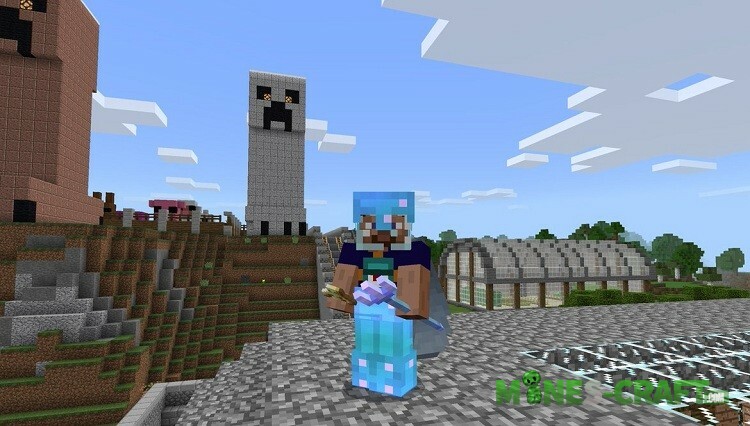 For today, Minecraft Bedrock Edition 1.4 is the latest release version for your devices and it contains a bunch of updates and content. 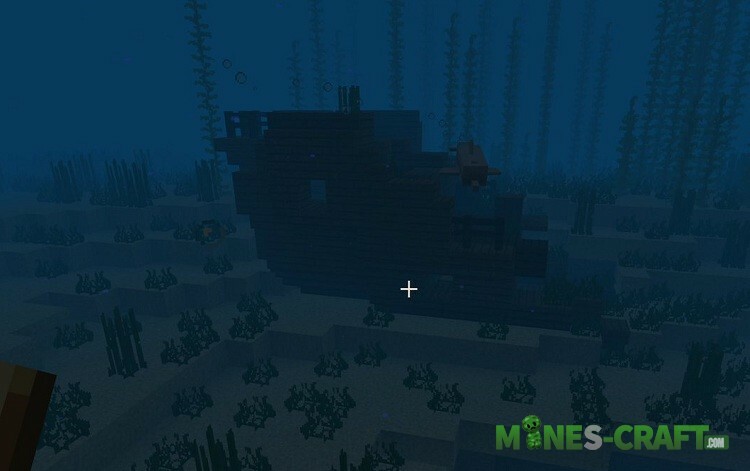 We assumed that Mojang was developing Minecraft Bedrock 1.3, but we were mistaken: this version is called the Update Aquatic and has the prefix 1.4. What can we say about the list of changes? It is huge and is a good reason for you to update your MC:BE. 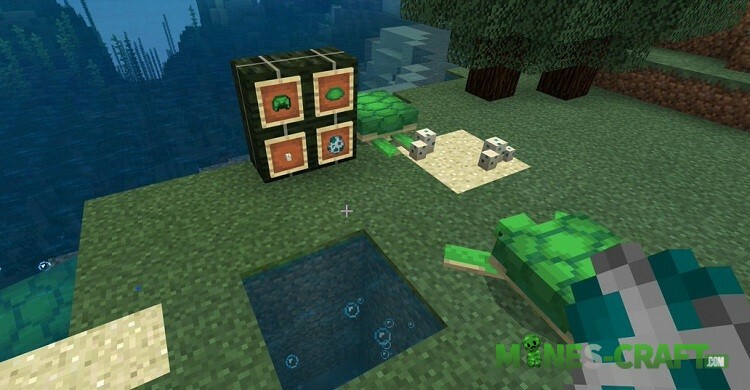 Dolphins, turtles, fish, new water physics, structures and much more are in 1.4, be sure to test it. 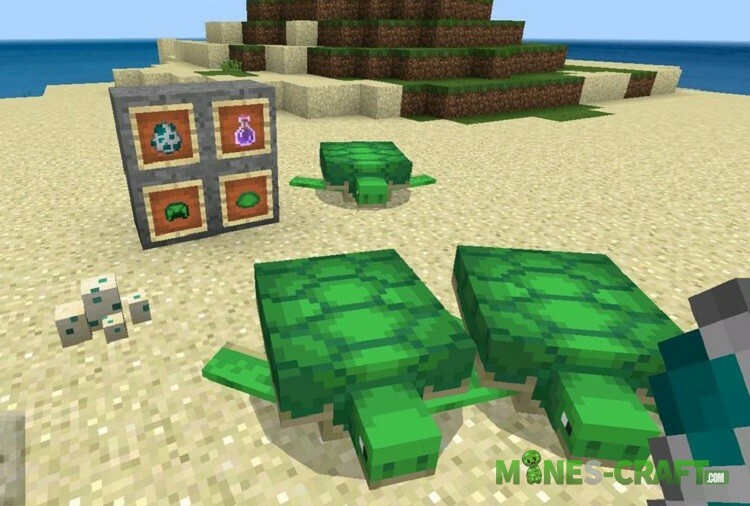 As mentioned above, these are dolphins, turtles, fish that are separate mobs with unique behavior. Dolphins can lead you to lost structures where treasures and rare blocks are located. Turtles are not a decorative pet, their shell is the main ingredient in turtle armor crafting. New fish can be caught with an empty bucket, you note. Icebergs, ruins, wrecks and underwater caves will become new parts of your world. In order not to repeat, there are wrecks of several types and they randomly appear under water. The trident is probably the main weapon of Minecraft PE 1.4. Throw this formidable weapon at your enemies or improve it by adding enchantments. New treasure maps will speed up the search for hidden treasure chests, and new types of steps, slabs and pressure plates will help you build a much more diverse house. Which sea update can do without plants? Kelp, seaweed, corals, sea cucumber and recipes for them. All these living things are at the bottom of rivers, seas and oceans. Mojang did not even think to stop and added some of the content from Minecraft Education Edition. Also, you can discover new achievements and experience the updated physics of water, it deserves special attention. ummmmmmmmmmmmmmmmmmmmmmmmmmmmmmmmmmmmmmm boi minecrfat java is gone are you mad!?!? !